2 weeks from today Dax and I are getting to take an adult vacation! We are so excited. We are headed to Breckenridge Colorado with a few friends and hopefully my aunt and her fiance'. I can not wait to go although I have to admit and I am kinda dreading being away from Rilan. This will be the first time he is gone for more than a night since he was 6 months old. Going from being with him every day all day to not seeing him for 5 days is going to be very very hard for me to deal with. I am already having trouble just thinking about it. We are going over the Valentines holiday weekend so that should be really fun and hopefully romantic since we will be in the snowy mountians! We have not gotten to go snowboarding since we lived in Lubbock and it was an awful trip, I got sick and it was New Years eve and there were TONS of people there so we didn't get to do a whole lot of anything but wait in lines. I can't wait to see if I can actually still board, I have been working out like a mad woman and trying to loose as much weight as possible before we go so I'm not the one everyone is waiting on! :) I can't wait, it will almost be like a honeymoon for Dax and I since we only got a very very short one when we got married. 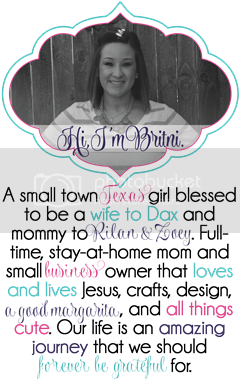 I'm so excited to take our new camera, I am going to make Dax and I a scrapbook of our trip! I will post lots of pictures when we get back! awesome brit I hope that you guys have lots of fun!!!! We are going to park city the week before!! !